St. Croix are a North American heritage breed of hair sheep. Their ancestors were West African hair sheep that were brought to the Caribbean Islands in the 1600s. They were imported into the United States in 1975 from the U.S. Virgin Island of St. Croix and further developed into the St. Croix breed. This breed is listed as "threatened" on The Livestock Conservancy Conservation Priority List and it's estimated that there are fewer than 5,000 of them worldwide. 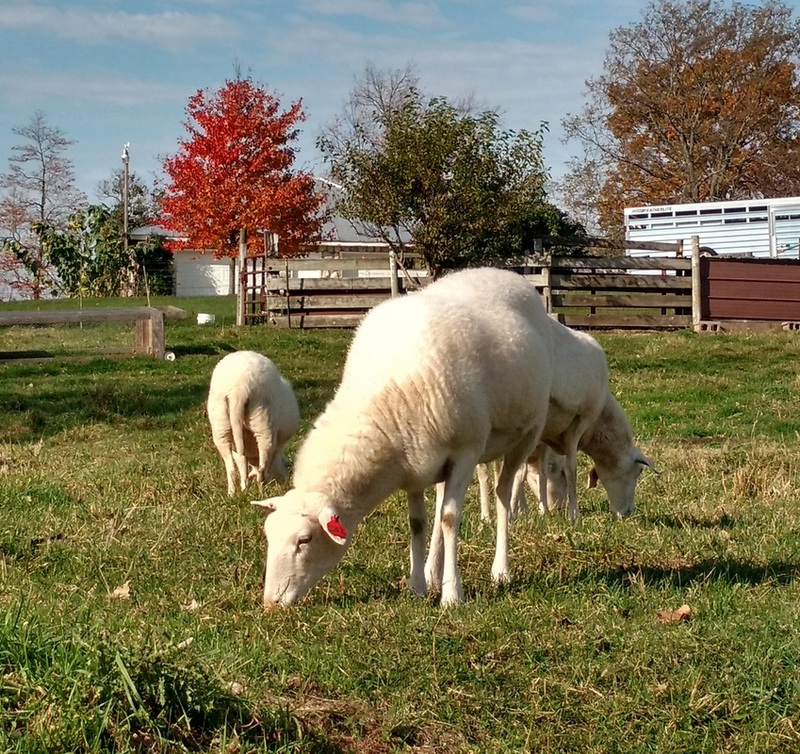 We love the St. Croix sheep for many reasons: they're really easy care (no shearing - they shed), they're parasite and hoof rot resistant, they are gentle and friendly. They are excellent mothers who regularly raise two or more lambs at a time, and they can breed at a young age and more than once a year. You might not think that an animal that originated in a tropical climate would do well in an area that can also be snowy and frigid. We've been very impressed with how well this sheep has adapted to our weather. When it's really cold their hair grows longer and thicker, then sheds when the weather warms up. They've proven that they are not just a warm climate sheep! St. Croix sheep are both grazers and browsers, which means they eat grass and just about anything else that's green. Our St. Croix eat the stuff in the pasture that makes other sheep turn up their noses. They've done very well on just pasture during growing season and good quality hay in the winter, eliminating the need for grain feeding. St. Croix sheep do not deposit fat within the muscles. 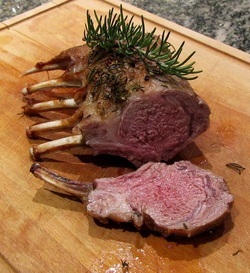 Therefore, they produce a lean meat that is naturally low in cholesterol and has a delicate taste. Taste tests conducted at Utah State University in 2004 placed the meat quality of pure bred St. Croix in first place for flavor, juiciness and tenderness compared to wool and hair/wool crossed sheep.